In Greek mythology, the Titans were a band of gods known loosely as "the strivers," who fought a long and hard war against their father, Uranus, before ultimately ending his life and assuming leadership of the free world. Imagine those gods dwelling in today's society, and the result would likely be something along the lines of the high school football team documented in Boaz Yakin's "Remember The Titans." In the year 1971, two high schools in Alexandria, Virginia, separated by their racial status, were merged into one, much to the protest of countless townsfolk who, at that time, believed racial mixing in the public domain was discouraging and unnecessary. A seemingly calm little city, dominated by its passion for sporting events, was soon under the influence of a local war between blacks and whites, made even more tense by the fact that the school board, under substantial pressure, fired the resident football coach and replaced him with an unknown but talented African-American one. The scenario paved way to a long, bitter war amongst the ranks of the team itself, divided by their prior ideals and threatened by the fact of sharing team victories with people who they had labeled as the enemy. For them and us, playing football is only a minor victory, though. They have the duty not only to slip past their own prejudices, but to bind a community through enthusiasm and love for the game as well. 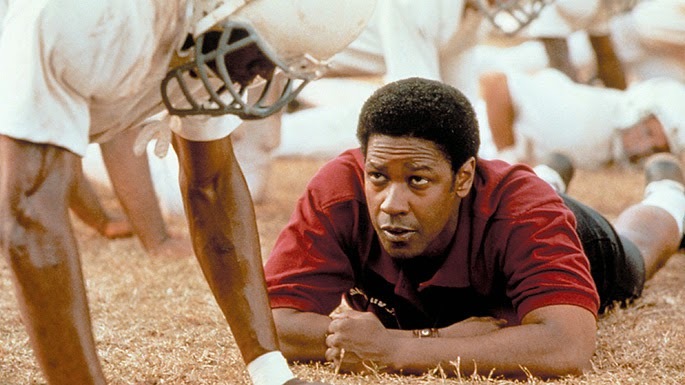 The movie opens with these events, as the coach of a local high school named Bill Yoast (Will Patton) is released from his duties as head coach of the football program, and new resident Herman Boone (Denzel Washington) is brought in to fill his shoes. Beguiled by the fact that he had been laid off for something he had no involvement in, Bill nonetheless chooses to stay around for the team he has put so much effort into molding, assuming duties as the assistant coach. He does not like the idea of serving under a man who he knows nothing about, and we understand that to some degree. But the appointment of Boone to such a position could not have come at a better time, what with two long-seperated races at each others throats on the football field itself. He was more than just a coach; he was a mediator between two competing and bitter factions, whose experience and wisdom acted as a joint influence between the two, helping to bridge the gap that had forever torn them apart. No one team, organization, or staff ever operated effectively because of the interference of unjust prejudice; it's all in teamwork, and Boone gave that to his players in a way that Yoast, in all likelihood, could have not. This is, needless to say, all based on a true story, and the result revolved around these occurrences is an absorbing, funny and effective endeavor, masked by the surface of a sports movie, but one where even the most obvious clichés (even the obligatory "big game" climax) come off without much criticism. The large ensemble cast attached, which in similar films might have been scattered by a tendency to back-burner interesting personas and focus on less-amusing ones, is surprisingly very well-portrayed as well; viewers are able to make distinctions between particular players, tell them apart, and at points name them directly. This, in large, is due to a tightly crafted script done by Gregory Allen Howard, which highlights the characters and their personalities by giving them opportunities to converse, discuss, and interact together like real teammates of any sports group. Among the more memorable are Julius "Big Ju" Campbell, who sees no color lines and happily mixes in with his African teammates, and Ronnie "Sunshine" Bass, a newbie from California who doesn't care what others think of him, even when he unexpectedly plants a kiss on a fellow teammate at one point. Likewise, the actors who personify these characters are not only energetic and proficient, but rightfully cast as well. Washington is particularly vigorous as Coach Boone, a semi-tyrant who doesn't care who he humiliates or sends off the edge, just as long as his team is winning. Patton as the coach who has been sidelined by Boone demonstrates efficiently the image of a man whose dislike for another does not affect his inhibitions or goals, and doesn't mind learning a few new things in the process. 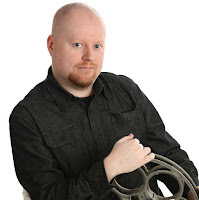 Where it all unravels is in the technical errors of the film, which are not so awful that they totally disrupt the package, but are significant enough to make some small impact on it. The most difficult task of all in any sports movie lies in the photography, and "Remember The Titans" features scenes of such clouded and indistinctive on-field imagery that there is sometimes a trouble in knowing which team is winning or losing. This isn't the first time that has happened in a movie, mind you; in fact, over time, the prospect of capturing clarity in the cinematography of these sporting events is almost nonexistent. Take "Any Given Sunday" into mind and you'll know what I mean; cinematographers either have no business or no talent in capturing such events on their cameras. The editing as a result is choppy and fragmented, and certain portions of that defect carry over even onto scenes where the action is slower and less necessary. Anyone who doesn't mind a few technical problems, though, will not have much to quibble about here. It's formulaic, obvious and a little childish at times, but hey, what movie centered around the approach of sports isn't? The real merit lies in the credible acting and premise, both of which demand little from the audience other than to be willing to accept the fact that all of us are different and shouldn't be persecuted because of those dissimilarities.